On Thursday March 30th. Grafill held its annual book award show, Årets Vakreste Bøker. The competition has been held since 1933, and is the only competition to honor the visual part of the book industry in Norway. In a large range of categories – from fiction to fact, cartoons to art books, a total of 47 books was awarded, and some of our illustrators was honored to be amongst the winners. Kristian Hammerstad won gold in the cartoon category for his book Trigrammaton. 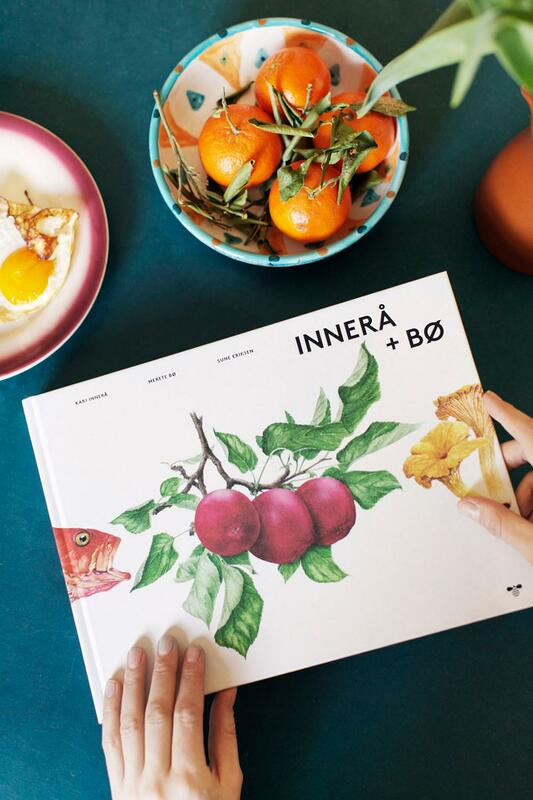 Rune Døli (Modest) and byHands-collaborating illustrators Meritxell Campos Canudas og Carles Puche Rius won gold in fact (adult) category and silver in book cover for the book Innerå+Bø. Robin Snasen Rengård and Magnus Voll Mathiassen was also awarded with a diploma. Robin for the book Thea2 in the category book cover (youth), and Magnus for the Gyldendal Classical Series in the category for series. A big congratulation to all the fantastic winners! And thanks to Grafill for hosting the event and for keeping the art of books on the agenda. All images by Grafill and Årets Vakreste Bøker. “cat”El dijous 30 de març. Grafill va celebrar el seu lliurament de premis anual de llibres, Arets Vakreste Boker. La competició s’ha celebrat des de 1933, i és l’única competició en honor a la part visual de la indústria del llibre a Noruega. En una gran varietat de categories – de la ficció a la realitat, els dibuixos animats als llibres d’art, va ser guardonat amb un total de 47 llibres, i alguns dels nostres il·lustradors va tenir l’honor d’estar entre els guanyadors. Kristian Hammerstad va guanyar l’or en la categoria de dibuixos animats pel seu llibre Trigrammaton. Runa Doli (modest) i il·lustradors Meritxell Camps Canudas og Carles Puche Rius va guanyar l’or en la categoria de fet (adult) i la plata a la portada del llibre per al llibre Innerå + Bø byHands-col·laboració. Robin Snasen Rengård i Magnus Voll Mathiassen també va ser guardonat amb un diploma. Robin per el llibre Thea2 a la tapa de la categoria llibre (joves), i Magnus per a la Sèrie Clàssica Gyldendal en la categoria de sèrie. Una gran felicitació a totes les fantàstiques guanyadors! I gràcies a Grafill per acollir l’esdeveniment i per mantenir l’art dels llibres a l’agenda. Totes les Imatges de Grafill i Arets Vakreste Boker. http://www.xellcampos.cat with new illustrations and recent projects.